For moving ingredients from the shipping/receiving department to the laboratory bench and the factory floor, manufacturers of personal care and cosmetic products rely on our drum handling equipment. 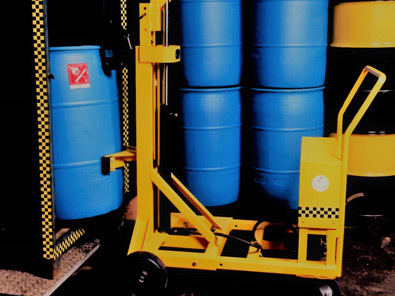 At Liftomatic Material Handling, Inc., we manufacture forklift mounted drum handlers, drum dumping and dispensing equipment, and portable drum handling units that are safe for hygienic handling. Backed up by 70 years of experience in the food & beverage, pharmaceutical, and other industries where processing takes place in an ultra-clean environment, we offer a full line of equipment that enables sanitary manufacturing. Manufacturers of personal care items and cosmetics operate under regulatory guidance to ensure their products are free from any contamination. Our specialized equipment can easily be cleaned and disinfected to ensure product safety. We configure drum handlers with FDA-approved coatings and stainless steel construction to meet the highest standard of cleanability, which enables personal care and cosmetic manufacturers to preserve the integrity of their products. 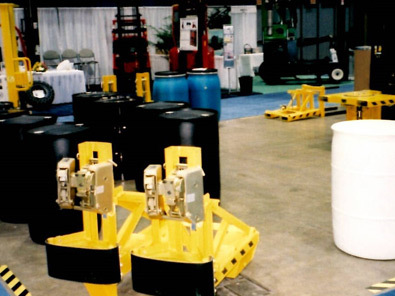 Our extensive product line includes equipment that expedites the movement of plastic, steel, or fiber drums from the laboratory to production, blending, packaging, warehousing, and shipping. For high volume processing, we offer forklift mounted drum handlers that maneuver up to four drums at once and hoist/crane attachments for handling one to eight drums at a time. We manufacture both mechanical and automatic dumping equipment that enables controlled pouring of ingredients as well a drum handlers with integrated weighing systems. To learn more about our drum handling systems for the personal care and cosmetic industries, contact us today. You can also request an on-site demonstration or an ROI consultation to help you reduce operating costs and optimize your space utilization. 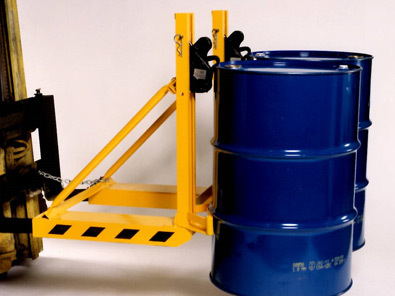 All receiving, production, testing, laboratory and shipping and warehousing applications where drums are encountered. On-site demonstrations and ROI analysis; Custom coatings and configurations available for all FDA applications. Less than 1 Week (Capital Equipment) . Custom designs by written quotation.